Home BUSINESS Will Dubarry benefit from the Kate Effect? Apparently, it’s the phone call that all fashion designers lie in wait for, and once it comes through, it means a retail red-letter day. And this week, it was the turn of Irish brand Dubarry, when Kate Middleton stepped out in one of their €480 jackets, produced by John Hanley tweeds in Nenagh, on her first public engagement of the year. Dubarry, originally a shoe retailer established in Ballinasloe in 1937, has already enjoyed a celebrity endorsement boost from the likes of Geri Horner and Amanda Holden. And they’re already a brand loved by the Queen, Princess Anne and Zara Phillips. Yet it’s assumed that the Kate Effect will provide a huge shot in the arm for the design house. At the time of going to press, the Bracken Heath jacket that Kate wore had sold out online, in all sizes but a size 18. Irish designers have enjoyed royal connections before with, it must be noted, varying degrees of success. It all started with couturier John Cavanagh, who designed a wedding dress for Katharine Worsley (bride of the Duke Of Kent) in 1961. Two years later, he then dressed Princess Alexandra of Kent for her own wedding in Westminster Abbey. Paul Costelloe was roundly regarded as one of Princess Diana’s favourite designers in the 90s, and was a regular caller to her inner sanctum at Kensington Palace. “That was the beginning, that was one of the biggest things for my career, dressing Princess Diana,” he told the Irish Independent last year of the association. Following Diana’s endorsement, Costelloe went on to work with Zara Tindall and Princess Anne, both of whom are still clients. Philip Treacy has been a blueblood staple for longer than he cares to remember, and the connection with the Royal Family has been, on reflection, a mixed bag of fortunes. He designed no fewer than 20 hats for Harry and Meghan Markle’s big day, though back in 2011, he admitted that he’d end up with his “head on a spike” for creating Princess Beatrice’s ‘octopus’ hat for Prince William and Kate Middleton’s wedding in 2011. Yet adopting the maxim that there’s no such thing as bad publicity, the infamous fashion creation has been part of his journey to the top of his game. Last year, Irish designer Don O’Neill’s white ballgown was one of the many designers that Meghan Markle packed for her 16-day tour of Australia, New Zealand, Fiji and Tonga. The Kerryman, back then a relative unknown, noted that creating the gown for the duchess was “beyond my wildest dreams”. It’s a major coup for any designer on the up, amounting to acres of publicity that could scarcely be bought. But the question soon needs to be asked: does a royal connection actually amount to an increase in sales, or is it simply good for PR? London-based consultants Brand Finance certainly seem to think it’s the former, and two years ago pitched Middleton’s potential worth annually to the British fashion industry at £1b (€1.12b). 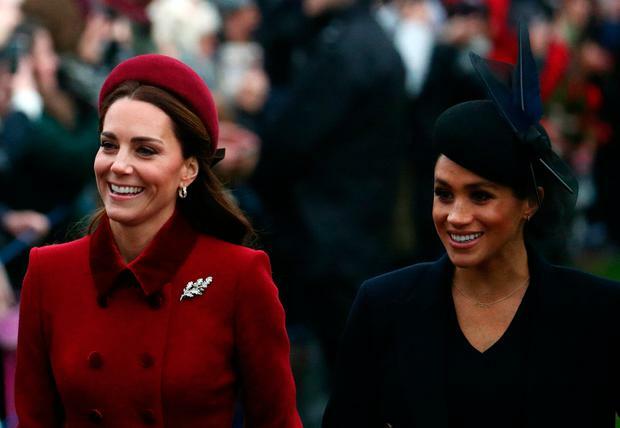 Relative newcomer Meghan, says Brand Finance, boosted the British economy by $677m (€594m) in 2018 alone. Where Kate Middleton’s ‘purse-friendly’ approach (relatively speaking) has apparently aided an ailing high street, animal lover Meghan is said to be doing the same stellar work for sustainable and eco-friendly labels. And what of the next generation of royal style icons? Prince George (5) may be king one day, but he is reportedly worth a mere £2.3b (€2.59b) by comparison to three-year-old Charlotte’s £3b (€3.38b). A princess is worth potentially more to the economy because of the fashion she might wear in the future, and Charlotte’s birth alone is said to have generated economic benefits of over £100m (€124m). “As well as the boost to baby clothing sales that we have seen from Prince George, a Princess would be able to set trends throughout her life, which will be great for the people who designed her clothes or those who can make quick knock-off copies,” says Brand Finance Chief Executive David Haigh. The vintage Silver Cross pram that carried Charlotte to her christening at Sandringham in 2015 enjoyed a dramatic upswing in popularity, for instance. Prams With Pizazz, a company that restores them, was “inundated” with calls after the ceremony, according to owner Scott Frew. One designer who has certainly felt the warm glow of the Kate Effect is London-based Erdem Moralioglu, who has credited Kate with transforming him from a struggling designer to a fashion powerhouse boasting $15m (€13.1m) in annual sales. Designer Jenny Packham, similarly, reported a 58pc increase in frock sales when Middleton wore her buttercup yellow shift dress outside St Mary’s Hospital after Charlotte’s birth. They’re healthy numbers by anyone’s standards, but the Kate Effect (or the Meghan Effect, for that matter), doesn’t always inure designers from the slings and arrows of a famously fickle industry. Besides equating a ‘sellout’ item with a wild streak of success is something of a misnomer. If, for instance, Kate or Meghan wear a certain label or item without prior warning to the fashion houses, it means precious little if the designer in question has a humble amount of stock to sell. And this can often be the case. Just ask Orla Kiely, the Kilkenny-born Irish designer whose fashion empire collapsed late last year. 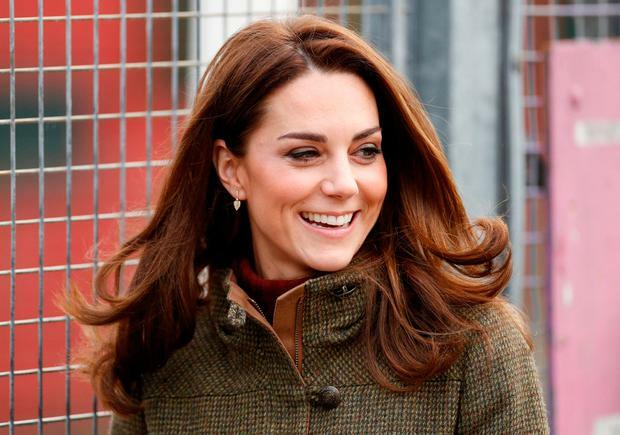 Kate was a fervent champion of Kiely and was regularly spotted in her dresses and frock coats. In one instance, a dress that Kate favoured sold out online within minutes of photos being published. “We don’t know in advance (when Kate wears our outfits), so it is a case of ‘oh, holy smoke’. It’s good for business, absolutely,” Kiely said in May 2017. But evidently, not good enough: the ringing endorsement from one of the world’s biggest fashion icons wasn’t enough to save the fashion label. The full story behind the demise of Kiely’s fashion empire has yet to surface, although a statement released last year alluded to “various challenges that have faced the company over the past few years, both in the UK and abroad”. Proof positive then, that a doff of the cap from even the most fashion forward and influential princess doesn’t always mean that a designer can sit back and rest on their royally recommended laurels.